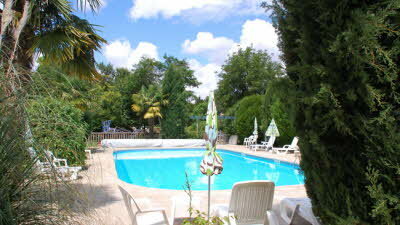 Owned by a British couple, this small site is set in beautiful landscaped parkland in the heart of rural France. It’s a tranquil place to relax, and a haven for birds and wildlife, with slightly sloping grass pitches which are shaded to varying degrees by tall trees. The owners and their staff make every effort to ensure guests enjoy a comfortable stay. There's a pool and play area providing entertainment for children and wine tasting, vineyard tours and food evenings for adults. There’s no shortage of activities in the region. Families will enjoy a trip to Futuroscope or Puy du Fou, while Poitiers can be reached within an hour and has some interesting historic and religious monuments. The site is perched on the Santiago de Compostela route, and the medieval market town of Airvault is within walking or cycling distance. Futuroscope, Monkey Valley, Terra Botanica, Fontevraud, Poitiers, Saumur, Angers, Chinon, Thouars, Parthenay, Walking trails, Cycle routes, Escorted canoe trips, Wine caves, Châteaux. 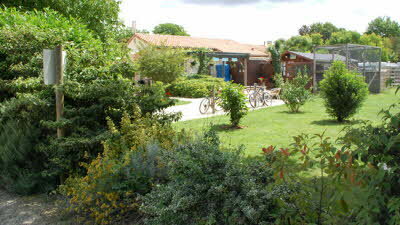 Camping de Courte Vallée is ideally situated on one of the main roads going south through France, with easy access for caravans and motorhomes around the town of Airvault and to the camp site. There is now an autoroute all the way from Rouen to Saumur (A28). We are approx 30 miles south of Saumur. The camp site is well signposted from the D725, avoiding the town centre - just follow the blue and white signs! Caravans arriving from north-east or east are not permitted down the main street of Airvault and should not approach from this direction. It is not advisable to follow Sat Nav directions to this site! 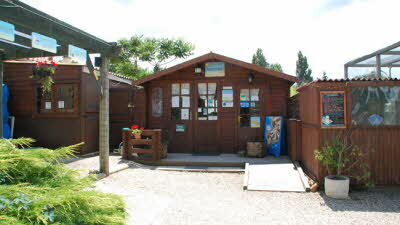 We arrived having booked at full price through the Caravan Club and were told we were expected. No one about and no message but a generic one glimpsed through window of office saying take any pitch. Did this and then discovered no electricity or water available on main ground...had to use taps in block. Generally rather tatty though lots of potential as quiet site on edge of nice town Extremely disappointing after long days drive through France and expected more at this cost. When was the last time this site was visited by a CC inspector? This is the worst site we have ever stayed on in the 20+ years we have been visiting France! We arrived in the middle of the heatwave so all the grass pitches were very dry and barren which is understandable. However the first thing you see on arrival is the caravan storage area, once checked in the next unsightly thing is the open fronted bin area on your way to your pitch. Pool area was just about adequate with the strangest tap for the shower! The whole site needs massive investment. We realise the current owners are not only new to the site but it appears they are new to the caravan industry. Contrary to other reviews we did not find the owners to be pleasant or helpful. The outdoor area of the restaurant is unfinished and the menu practically non-existent! We have never been to a restaurant on a site to be served fish and chips in a take away container when you are dining in! 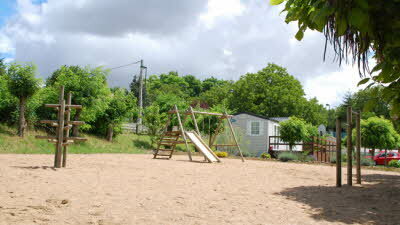 If you are looking for a 'British' experience in France then maybe this is the site for you, but we will never return! Such a shame as the area has a lot to offer. I am sorry to hear you did not enjoy your stay on our site. I hope my comments answer any queries you have. The caravan storage is below road level and is screened by mature trees that were in full leaf at the time. The storage area has been next to the site which was set up by the people who started the camp site 24 years ago. The bin shed is not totally open fronted and is housed in an old stable, there is an opening which is one bin width wide to allow people to access to the bin that is in operation. The shower tap in the swimming pool is a French tap which you have to turn 90 degrees to turn the shower on. We are investing heavily in the campsite, projects completed to date include a porch on the shower block, a new reception, a games room with pool table, an outside seating area with shady pergola, the surround of the swimming pool concreted for extra seating and sun bathing area, a new liner in the swimming pool, a purpose built outside terrace with block paving. We have also upgraded the WiFi system. Ongoing projects include extending the bar area which is part of a large extension to the living accommodation. We are also installing a number plate recognition system to access the campsite. We will start building a new purpose built shower block in November 2018. We have just completed our third season and have been very keen campers and caravanner’s for the last 45 odd years. We do our utmost to be pleasant and helpful. The outside area of the restaurant is finished what was not completed was the block paved area which will be part of the entrance to the new bar. The restaurant offers a choice of 4 or 5 starters, 5 or 6 main meals, a choice of desserts including a selection of tarts and ice creams, a full cheese selection and specialty tea and coffee. Thursday night is fish and chip night which is extremely popular, we offer to eat in or take away which is served in a take away carton. We can serve fish and chips on plates if diners request that and want to eat in. We store circa 150 caravans of English ownership where the majority of our clients visit and stay for extended periods of time. All of the above information can be found on our website. Peace and quiet in a lovely location. Unlike most of the campers we met at this site, who had booked a longer holiday, we chanced upon it as a handy stop off on our way north , using our Acsi card and were pleasantly surprised. Yes it does seem to be full of British campers ( actually it was nice to be able to chat in English again!) 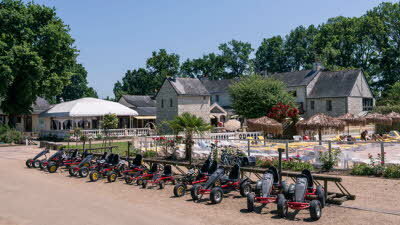 but it's set on the edge of a very nice small town and close enough to other attractions if you have a car. The town has a very helpful tourist office and a Saturday market, as well as an old church and underground spring and medieval houses. The campsite is run by British owners ,who have only been here a couple of years, and they make a real effort to keep people happy. They have a fish and chips night, bbq evening (bring your own meat), and other events. We did find the bar and food a little expensive but as we'd spent the majority of our holidays in Spain and Portugal we decided that we'd been spoilt there! The pool was small but perfect for cooling down and meeting other campers. Toilet facilities were small but clean, they are unisex but that didn't seem to matter on such a peaceful site. Down the hill there are some nice walks along the riverside, the owners gave us a leaflet with 3 easy walks described. 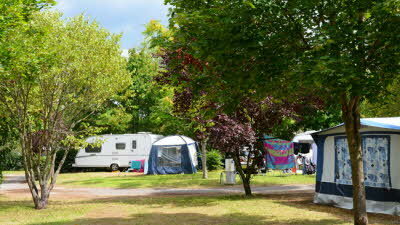 As annual visitors to France, we decided to look for a site to visit and one that could store our caravan. 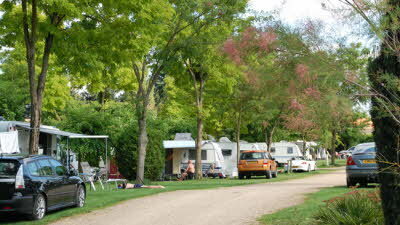 Camping de Courte Vallee seems to fit the requirements. I lovely little site with spacious pitches, nice pool which I would say was of an adequate size , and has sun beds and parasols around it. There is a small bar/restaurant area. Have not had any trouble finding an electric point, there seemed to be one every 3 pitches, so longish lead may have be required. The sanitary facilities we perfectly adequate and kept nice a clean. When we visited in May the site was very green and the grass was a little long on some pitches but we were there for 7 nights and it rained every day at some point, so no possibility of getting the grass cut. When we arrived in August the change was quite remarkable most pitches had very little green grass as they had had very little rain since our last stay. During our stay the empty pitches were regularly cut and I thought they were quite well maintained. There is a bar/restaurant area with covered and open air dinning, we had a very nice 3 course meal. We also wentto fish and chip night. The menu is limited but perfectly adequate, we visited the bar on a few evenings and found the staff and other campers very friendly. The storage offered is very reasonable price and it was nice to arrive to find our caravan on our requested pitch all ready for us. Awnings are erected if required (at a small cost) so everything is just ready for you to start enjoying your holiday. 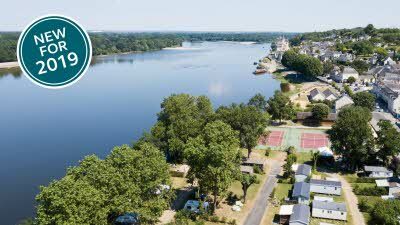 It has the added benefit of being ideally situated for travelling around France without having to tow from the UK, saving on ferry crossings and fuel costs. 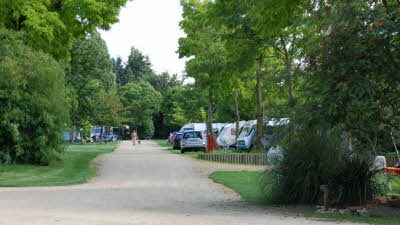 Most of the campers on the site were English but you only have to leave the site to be immersed in the French culture. There are several lovely towns nearby to visit and many things to do a little further a field. Looking forward to our next visit.